Learn how to resend an email campaign to those who didn't open the first time. If you wish to resend an email campaign to your subscribers who didn't open it the first time, you can easily do so with SmartrMail's "Send Boost" feature. This feature is only available for manual email campaigns that have already been sent. You cannot boost an automated email campaign. By resending an email campaign, you will increase the chances of receiving complaints and unsubscribes. If this happens, it could negatively affect the deliverability of your future email campaigns. 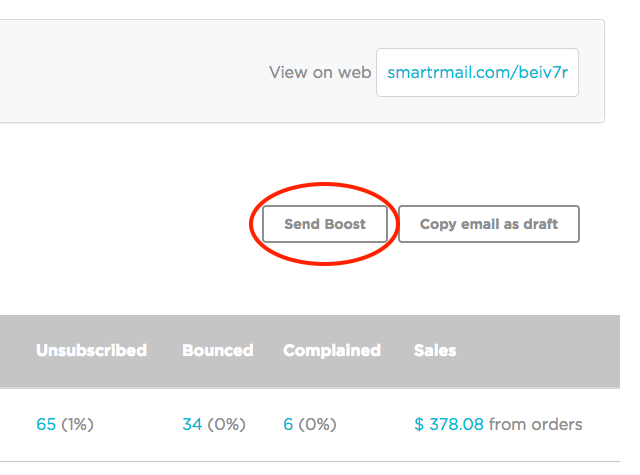 You can send boost by navigating to the stats page for the manual email campaign you wish to boost. On this page, you'll find a "Send Boost" button on the right above your stats, as shown in the image below. 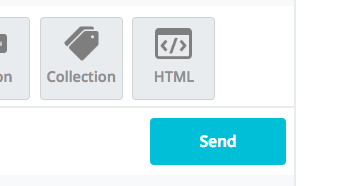 After clicking this button, you'll be sent to the manual email composer that will have the email campaign you're wanting to boost in it. You will be able to rename the campaign and give it a new subject line and preview. You will also see a message advising that you slightly alter the content of the email too. This is because if you send the exact same email multiple times, inbox service providers such as Gmail are more likely to flag the email as being spam. By just slightly altering the content, you are able to reduce the chance of this occurring. After making the change you want, you are ready to resend the email to the original campaign's recipients who did not open it the first time. You simply send it the same way you send a regular manual email campaign - by clicking on the blue "Send" button in the bottom right. And that's it! You've successfully resent your campaign only to subscribers who didn't open it the first time.